Our school calendar is located under the “School Life” tab on our website. We call this calendar a “living document” because it is regularly updated. It is recommended that you frequently view our calendar on the website or click on the +Google Calendar button on the bottom right of the calendar (see image below). By doing this you are adding our calendar to your google calendar and all the updates and changes will appear live. Please note that we have already added another professional development day on October 28th (No school that day), we have added volleyball games for grade 5 -7 students and we still need to add one more professional development day in the school year once the workshop is confirmed. We are in need of drivers for Dragon boating. We are short about 4-6 drivers in each classroom. We do not want to cancel this excellent program that teaches students teamwork, water safety, and skills around boating. The experience is part of their PE curriculum. Please let your classroom teacher know if you are able to help out. Our school choir was a fantastic addition to our school last year. They made Mass more meaningful and engaging. We are in need of a parent to help run our choir this year. Mr. Pierre Roy and Mrs. Colleen Branson are there to help, but we need a parent to take on the role of director. This of course will count for your parent participation hours. Practices are Wednesdays after school for 1 hour and the choir sings at all our masses. 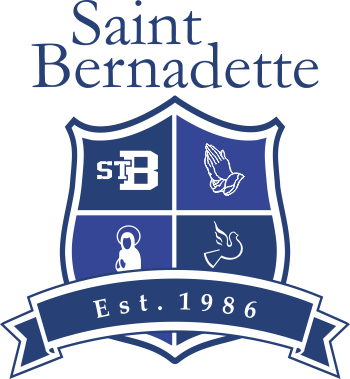 Please contact Mr. van der Pauw at principal@stbernadette.ca if you would like to join. The school is currently having issues with the voicemail system (mailboxes are reporting full when they are not, staff unable to retrieve messages, etc.) and are in the process of having it fixed. If you have a message that is urgent please deliver it via email to ensure we receive it in a timely fashion. Email addresses of the staff can be found on the school website.